Particularly where sensitive working environments are concerned, oil-free compressed air is a must. 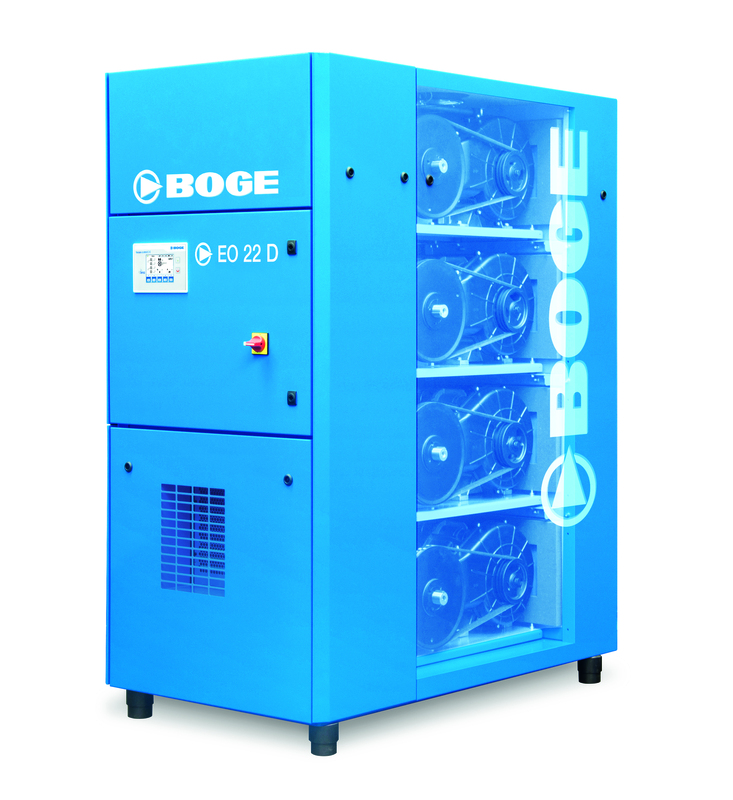 However, since, no compressor in the small to medium performance oil-free segment (up to 22 kW) has been quiet and compact enough up to now to use right at the workplace, BOGE set out to develop the EO series. The scroll compressors in this series work extremely quietly with very low-vibration. A modular concept with 1-4 airends systematically matches compressor use to demand and also offers maximum versatility – no matter whether used on receivers, with a refrigerant air dryer, as a duplex unit or with a cyclone separator. 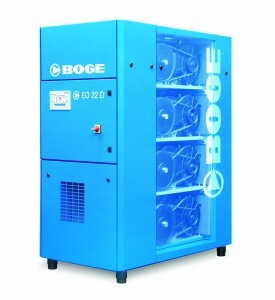 The centrepiece of BOGE EO compressors (eccentric, oil-free) is made up of one or more scroll compressors. Each of these operates with two spirals, one of which is fixed while the other rotates eccentrically. The two spirals interleave without touching. The air intake is continuously pressed into the increasingly narrower interior space, thereby generating pulsation-free compressed air which is absolutely oil-free. The use of a two-stage aftercooler provides an additional boost to efficiency. 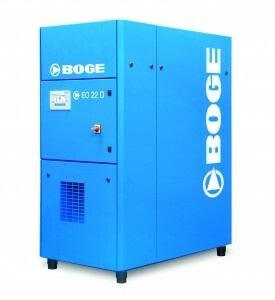 Up to four compressors can be accommodated in a single housing when particularly high free air delivery is called for. This is where the scroll compressor comes into its own with its whisper quiet, ultra-low vibration operation. 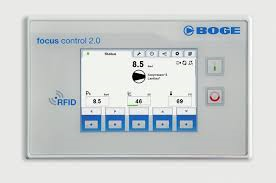 Ideal for applications such as laboratories, university’s, food production and hospitals. Scroll compressors dispense with the need for oil lubrication since there is no friction between the aluminium screws in the compression chamber. This design-related advantage guarantees high quality 100% oil free compressed air. horizontally in base-load switching operation. The New EO Scroll Compressor System by BOGE.